The Museum opens with four exhibitions. 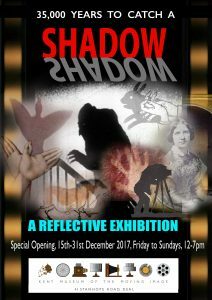 On the ground floor, “35,00 Years to Catch a Shadow: A Reflective Exhibition” challenges visitors to explore the Phenomenon, Arts and Technologies of the Shadow. Three exhibitions unfold in the Museum’s large upstairs galleries. 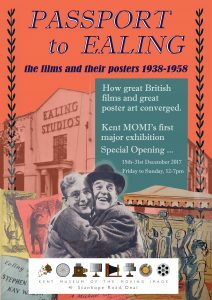 One comes to Kent-MOMI courtesy of the Vinten family — a major Britain producer of cinema and television cameras. Another tells the story of “The Royal Polytechnic Institution and Multi-Media Victorian London”.